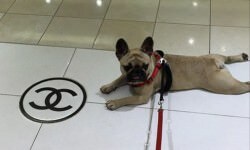 Of course, all our dogs are perfect in their own way, but having a well-trained dog will certainly make your life easier. 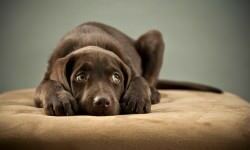 Many dogs can feel unhappy during bad weather. 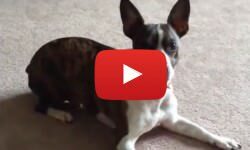 Thunderstorms can be especially frightening for an unsuspecting canine, as she has no idea what’s going on or where the loud noise is coming from. 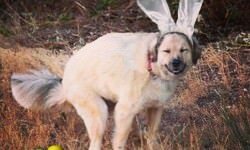 Seeing your precious pooch distressed can be quite upsetting. Luckily, there is a wide range of methods you can employ to calm your dog during a storm or other bad weather conditions. Let’s face it. Fido is overweight and you are too. It’s time to take the matter in hand! 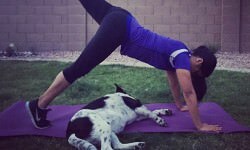 With your dog by your side, here are ways that you can slim you both down and not suffer too much doing it. And let’s not forget – it is much more amusing to lose weight with your dog than alone. 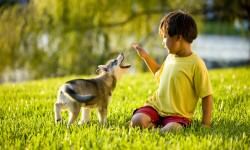 Many people view the perfect childhood as one that is shared with a canine companion. There is much a dog can teach us about ourselves and about life. The problem is that some parents do not properly educate their child before introducing them to a dog. 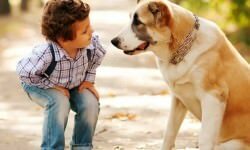 The following 14 safety tips are a must-read for parents who want to avoid a potentially risky situation with their child and dogs. It’s impossible to prevent every mishap or injury your dog may experience. While you can’t stop it all, there are some things you can do to reduce the overall risk to your pet in a variety of situations. 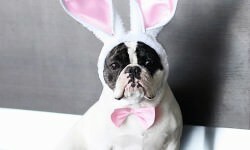 The following tips will help you protect your beloved canine companion so you both can enjoy a long, happy and healthy life together! 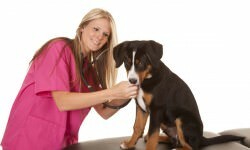 Choosing a veterinarian can take time. You should put in just as much effort as you would finding a doctor for yourself or your child. The vet may need to save your dog’s life one day and will make decisions that have a strong impact on your pet’s health and wellbeing. 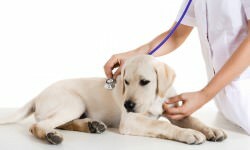 What do you need to know before choosing a veterinarian for your dog? There are so many flea and tick products on the shelves now! Shampoos, spot-on products, sprays, and collars… how do you choose? Here are 11 tips to help you select the best products for your dog. Dental problems can cause pain, tooth loss, and infection that spread to other areas of the body such as the heart valves. 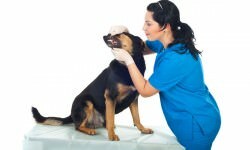 Caring for your dog’s mouth and teeth can help him live a longer and happier life. Here are some tips on how to keep your dog’s choppers healthy! 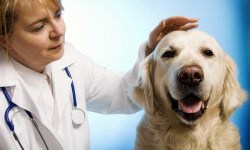 Many pet owners know that dog health insurance is available for their canine companions, but question is whether or not the price is worth the coverage. 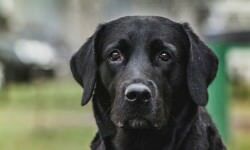 To make matters even more confusing, not all dog health insurance policies are created equal. If you are interested in purchasing a health insurance policy for your dog, how do you know which policy will best meet your needs? While some canines take to the water quickly, others do not. 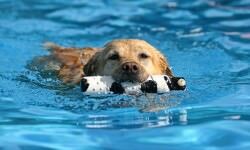 Avoid developing a fear of water by using the following tips when introducing your pet to the joys of swimming! There’s no doubt that we want our canine companions to stick around for as long as possible, but this doesn’t have to be left down to chance. 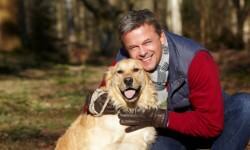 Making some changes in diet, lifestyle and environment can help increase the life expectancy of your dog. A Siberian Husky makes a great pet, but they also have a ton of energy and strong personalities. They’re working dogs, so they need near-constant stimulation. If you don’t come up with techniques to calm your pooch down, he’s going to drive you crazy and may even get into a bit of trouble. 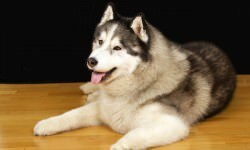 The next time your Siberian Husky starts getting a little wild, try one of the following tips to get him to relax. 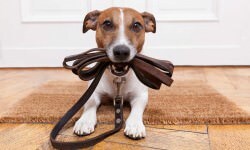 It is true that you have to learn to walk before you can run, and this applies to your canine companion, as well. Sure, he knows how to run, but unless you want to get dragged or pulled in random directions, he will need a little training. 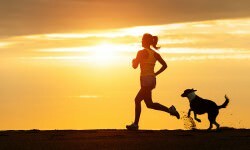 You are responsible for helping him learn to be the best running companion possible. 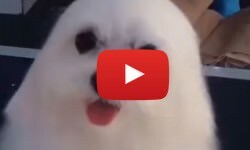 Most people do not realize just how expressive dogs really are. They may not be able to tell you when they are stressed, nervous, scared, sick, etc., but their behavior certainly does. You simply need to become familiar with some of the things you should be looking for. 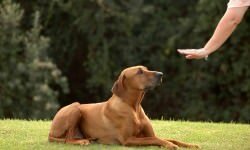 Not only will this help you better understand how your four-legged friend is feeling; it will allow the two of you to build a better relationship. Some will tell you that Siberian Huskies are impossible to train, simply because they are too smart for their own good. Sure, they are escape artists, and they can open doors, cupboards, and drawers, but that does not mean you can’t train them to be wonderful companions.